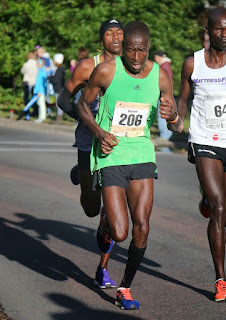 The Running Professor: Preview of the 2015 USATF Masters Marathon Championships at the Twin Cities Marathon on October 4. 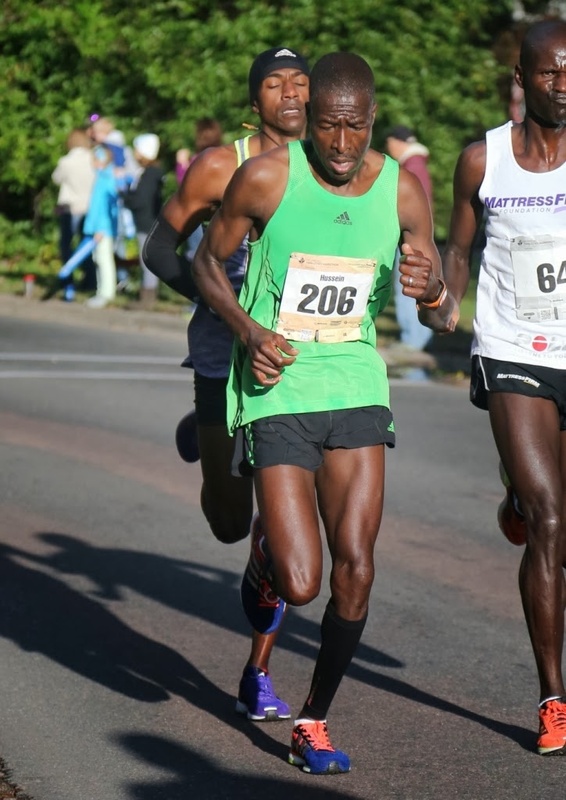 Preview of the 2015 USATF Masters Marathon Championships at the Twin Cities Marathon on October 4. September 30 2015. The fields for the 25th consecutive running of the USATF Marathon Championships at the Twin Cities Marathon are very strong, with both men's and women's champions returning. The top end is loaded, there's great depth, and there will be fascinating races throughout the Masters age groups. The forecast is nearly perfect with clear skies and temperatures in the 40's, rising into the low 50's after the first 3 hours. (Lafayette LA), and Uli Steidl (Seattle WA). Last year Hussein had the edge, defeating Wardian 2:22:27 to 2:22:45. Wardian felt that he was closing strongly last year but ran out of race course. How will it go this year? And Castille and Steidl will also be in the Masters lead pack no doubt. In 2013 they trailed Hussein to the line. Hussein finished in 2:20:21, with Castille in 2:21:00 and Steidl a few minutes further back in 3rd. No doubt both Castille and Steidl will be hoping for better outcomes this go round. It appears that Wardian ran 5 or 6 marathons in the first half of this year but none since so perhaps he is now focusing on quality, not quantity. Castille ran a blazing sub 1:05 in the USATF Half Marathon championships at the end of May, finishing second to Meb Keflezighi so he should be ready to hang tight with Hussein. There are two others who hope to be in contention heading into the last few miles. Jason Ryf (Oshkosh WI) finished third last year in 2:24:54 while Clint Wells (Boulder CO) has three sub 1:08 half marathons to his credit over the last couple of years. This appears to be his first serious attempt at a marathon. Maine running pal, Kristin Barry (Scarborough ME), who finished third in 2:52:19 last year, there are two other challengers who appear to have a chance of chasing Piers down or at least fighting for a spot on the podium. 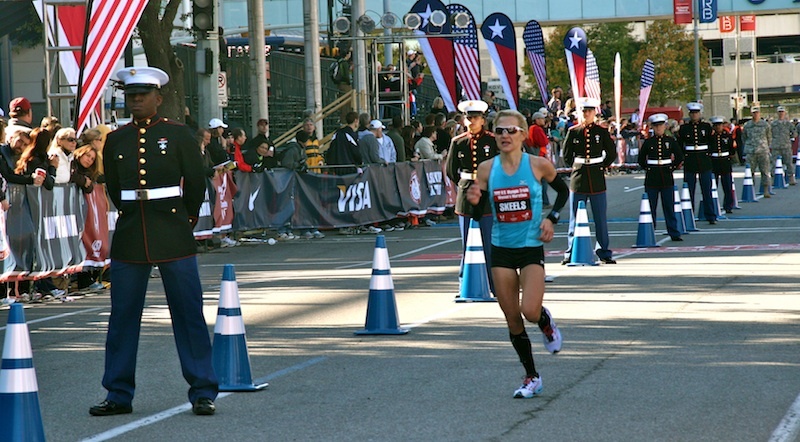 Jennifer Shulze (Clive IA) ran a 2:47 at the 2014 Grandma's Marathon and Megan Skeels (Aledo TX) ran a 1:17:12 20K earlier this year and has a 2:42:40 in the 2012 Olympic Trials Marathon to her credit. 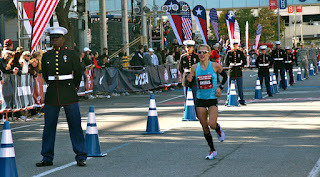 Molly Friel (Fresno CA) should not be overlooked either as she ran 2:41:30 in the 2014 California International Marathon and 2:44:59 in the 2014 Eugene Marathon. marathons in the first half of the year; since then he has only run a couple of 5K races. Maybe he is planning something special? Unfortunately for them, with Hussein entering their age group this year, it appears they will be battling for second, not first. Men 55-59. This group features another fascinating contest. Bill Enicks (Signal Mountain TN) is back to defend his 2014 title which he claimed in 2:52:22. But he has a new challenger in Tom Dever (Terre Haute IN) who is moving up a bit in distance. 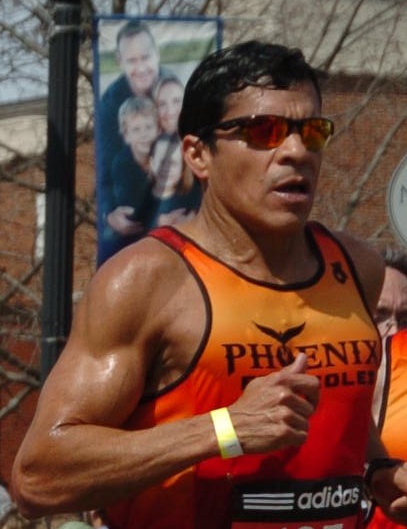 Dever has two sub 1:20 half marathons this year, including a sparkling 1:17:12 in the 2015 USATF Half Marathon championships in San Diego in May, And he is not entirely new to the Marathon, having run a 2:47:59 at the 2014 Peoria Marathon. Looks like Enicks will have his work cut out for him. Should either of those two front runners falter, Tom Prentice (Winter Haven FL) who ran a 2:59:08 at Grandma's Marathon this year, and Dennis Wallach (Chanhassen MN) who ran 3:00:41 last year in these championships will not be far back. Men's 60-64. Thomas Gaudette (Palos Hills IL) is the favorite with a 3:13 in the 2014 Columbus Marathon. But he will have to be on his game as Bruce Seguin (Harrison Township MI), who ran a 3:21:17 at Boston this year, will be pushing the pace as well. Men's 65-69. Ordinarily one would think that Gene Dykes (Bala Cynwyd PA) would be the favorite with a 3:07 London (UK) Marathon this past spring and a 3:27 Delaware Marathon 2 weeks later. But if the Tim Freeman (Port Angeles WA) entered in this race is the same 64 year old who ran 2:45:57 in Grandma's Marathon earlier this year, it appears Dykes will be pressed to keep pace. And should Dykes falter, 2nd place is by no means guaranteed; Leroy Jordan (Backus MN) ran 3:16 at Grandma's. Men's 75-79. Two grand old men of the running game will compete for this prize. Both Joseph Burgasser (St. Petersburg FL) and John Ouweleen (Sebastian FL) have run sub 4-hour marathons this year. But Ouweleen gets the nod for favorite as his race was a 3:37:59 at Boston this year while Burgasser's was a 3:58:57 at the same race. Women 40-44. All of the women who are mentioned above as contending for the top spot, except for Friel are from this age group so Piers, Barry, Shulze and Skeels are the favorites. Women 45-49. Friel is the favorite for this group but Mary Pardi (Falmouth ME) should be close behind. 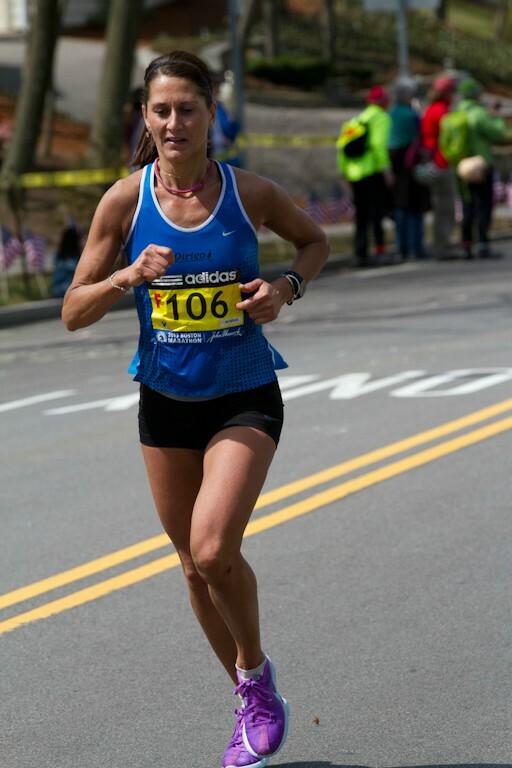 She ran 2:48:42 in the 2013 Boston Marathon and has run 4 sub-1:25 half marathons this year. 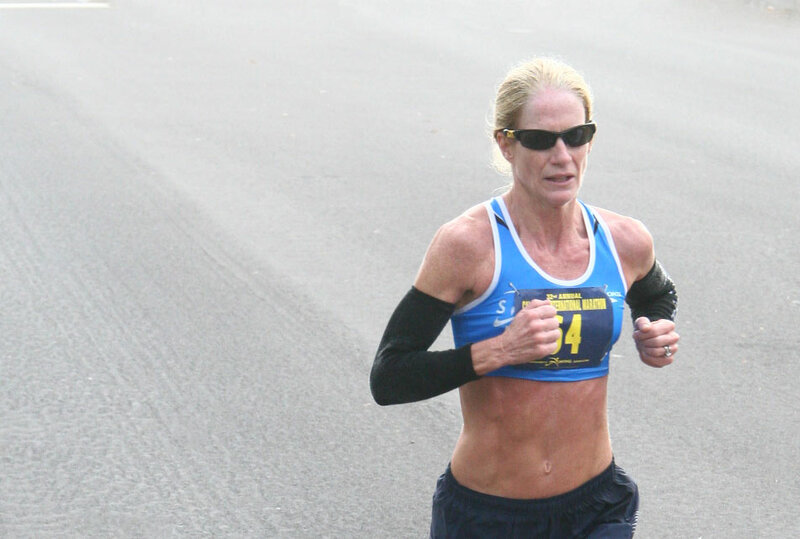 Kathy Wolski (Knoxville TN) ran 3:05 in the 2014 Masters Marathon Championship and has a 1:27:56 half marathon this year. That should give her the edge for the third spot on the podium. But Joyce Bourassa (Lakeville MN) who ran a 1:31:14 half marathon this year should be able to press her. Women 50-54. Wanda Gau (Little Falls MN) appears to be a strong favorite. She ran a 3:04:57 marathon in Minnesota earlier this year and a 3:09 at the 2014 Eugene Marathon. It looks very competitive after her however. Clarice Esslinger (Mankato MN) ran 3:14:08 in this race in 2014 but her spring Marathon this year was 3:21. Still I give her a slight edge over three others who will be in contention. Diane Daruty (Newport Beach CA) ran 3:16:28 in the 2014 Kaiser Permanente Napa Valley Marathon; Rosalva Bonilla (Mt. Charlston NV) had a 2014 Long Beach marathon time of 3:18:10; and Patricia Fasola (Mission Viejo CA) ran 3:17 in the 2014 Mountains to the Beach Marathon and has a 1:35 half marathon this year. Women 55-59. 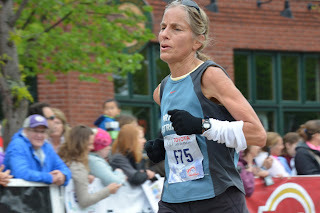 Margaret Sheridan (Woodbury MN) won the 50-54 age group at this race in 2014. She will be a strong favorite in the 55-59 group based on her 3:16:45 in that race, supported by a 3:21:04 in the 2014 Grandma's Marathon. Women 60-64. Andriette Wickstrom (Storm Lake IA) finished 2nd in the 55-59 division last year. Based upon her 3:25:51 time, she is the favorite to win her age group in this, her 25th consecutive appearance. Karen Manske (Stillwater MN), a veteran of cross country ski races and trail runs, might provide some competition. In one of her rare road races, Manske ran a 1:36:20 half marathon in 2012. Women 65-69. 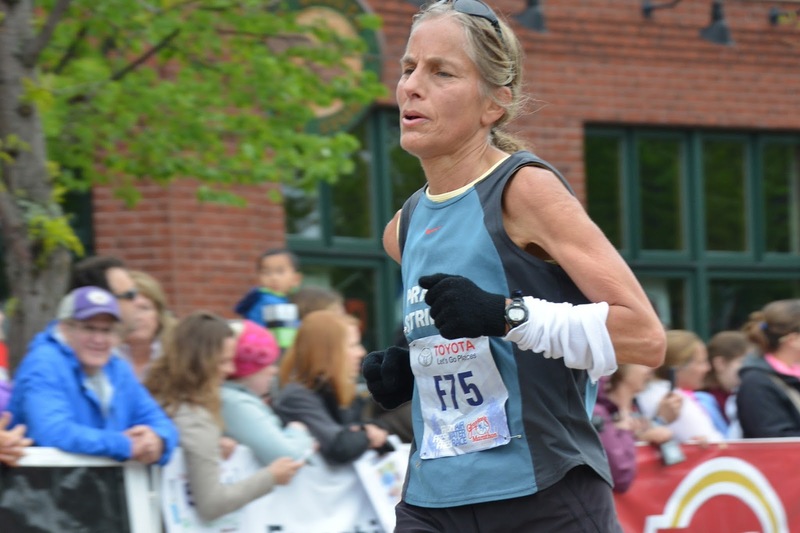 Carol Brouillard took this contest in 2014 in 4:08:35 with her closest competitor a half hour back. She seems likely to repeat this year. On the women's side, Sheri Piers (90.60%), Andriette Wickstrom (88.4%), Margaret Sheridan (86.20%) and Kathy Wolski (84.38%) are the top returning age-grading performers from 2014. Molly Friel could well move to the top of the list. If she can run 2:45 this year it would age-grade at 95.%. Wanda Gau should also be able to join this top group.If she can run a 3:08 marathon this year, her age-graded percentage would be 89. On the men's side, the top returners are: Mbarak Hussein (97.03%), Jason Ryf (90.56%), Michael Wardian (89.67%), David Williams (Milwaukee WI) (88.77%), Spyros Barres (88.61%), John Van Danacker (Rockford MN) (88.60%) and Ricardo Maldonado (87.69%). Kevin Castille rarely grades below 90% and will almost surely join this top group. Uli Steidl is also a threat. If, at age 43 he would run a 2:25, that would age-grade at 90.5%. 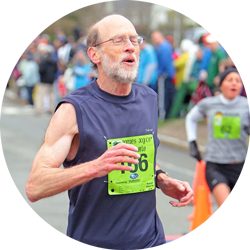 If Tim Freeman, at age 65, can manage a 2:50, that age grades at 94.76%. If Tom Dever, at 58, can manage that same time, he would get an 88.36% and be in the hunt.